March 12, 2018 March 14, 2018 Reanna K.
Even though it wasn’t an official LCBS meeting, there was, of course, a craft. It’s been a long winter, and after the shower we all realized how important our monthly gatherings do to help us reconnect. The crafts are always fun (if not always a smashing success), the beers are cold and delicious (if not always universally enjoyed, because one or the other of us seems to always be pregnant), but the one running constant is the friendships we’ve built along the way. If you’re looking for a good excuse to make new friends or grow the bonds of your existing friend group, may we recommend starting a craft club? It’s really easy. Your club should consist of friends and acquaintances you admire and/or would like to get to know better. 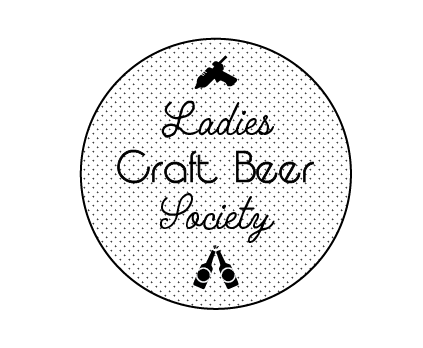 Obviously, we’re a ladies craft beer society, but you don’t have to stick to that formula, if you know some men (or non-gender conforming individuals) who would have fun wielding a glue gun and a can of beer. Feel free to reassure any dubious invitees that they don’t have to be particularly crafty or creative. It’s just fun to play around, get a little messy and experiment with different projects. Our members also periodically invite guests to meetings, which is always fun. Each month, members take turns hosting. The host selects the craft (usually based on a seasonal theme, though not always. Pinterest is, of course, our go-to source material for craft ideas.) Pro tip: We have found over the years that short, easy crafts (or at least ones that you can start at the meeting and take home to finish) work best, because we’re often busy talking and eating for so much of the meeting. The host is also responsible for acquiring supplies and setting dues for that meeting (just to cover supplies.) We try to keep most of our crafts to $10 or less per person. You could set up some sort of supplies account and have everyone pay an annual dues to cover all crafts, but we’ve found the à la carte approach to be the fairest and easiest way for everyone to just pay for what they can actually attend. We also periodically end up with “stash buster” type crafts where we use up supplies previously purchased and left over from other crafts. We also pick a beer theme each month. This could be a beer style (such as “farmhouse ales” or “sour beers”) or a theme like “brewery you’ve never heard of.” And while “craft beer” is in our name, sometimes the weather is just too nice not to make sangria. Of course, if your friends are more into wine, or tea, or kombucha, you can adjust your club as appropriate. Everyone usually brings a six-pack and/or a snack to share. Usually the host ends up with a fridge full of leftover beer and at least two types of hummus to sustain her for the next week. It makes up for all the paint stains and glitter mess. That’s it! We told you it was easy. Stay tuned, because our first meeting since launching this site is coming up soon. We can’t wait to let you in on one of our meetings!